In a short time, you can produce high-quality books in a wide variety of formats. 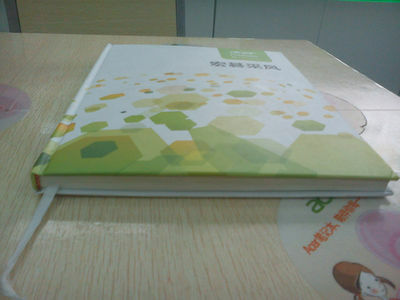 Cover, cardboard of the cover and cardboard of spine are located accurately; the thickness of cardboard can be 0.5-6 mm. Printing and binding professionals know that the secret to satisfied, repeat customers is the quality of the finished product. Customers are demanding more personalization to set their company collateral apart from the competition. Company image is everything. Imagine, being able to created a fully decorated hard cover on-demand in minutes! You are only limited by your imagination. Print photos, logos, artwork or text. Let your customers be in control of their image versus being limited by technology. 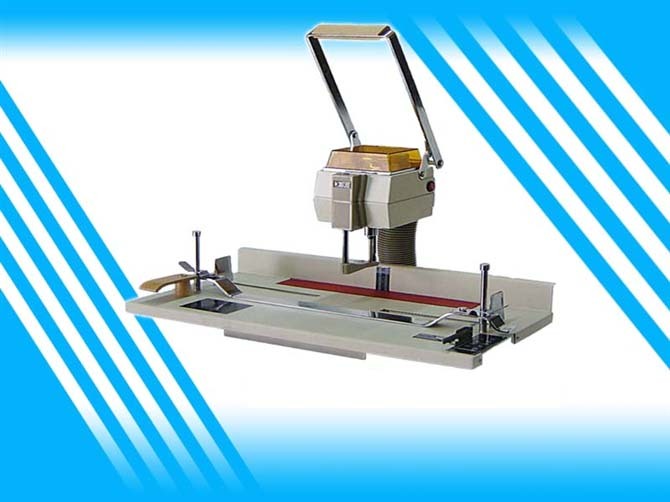 Step One: Insert your chipboard or card stock in the rotating arm of the DW-100H and turn on the table light. Step Two: Print your image on super-size tacking sheet (inkjet printable back Adhesive Plastic sheet) which can be bought from local Sign supplies store). 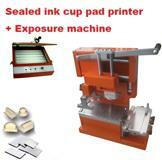 You can optionally laminate the sheet using an 8 micron laminate for protection. 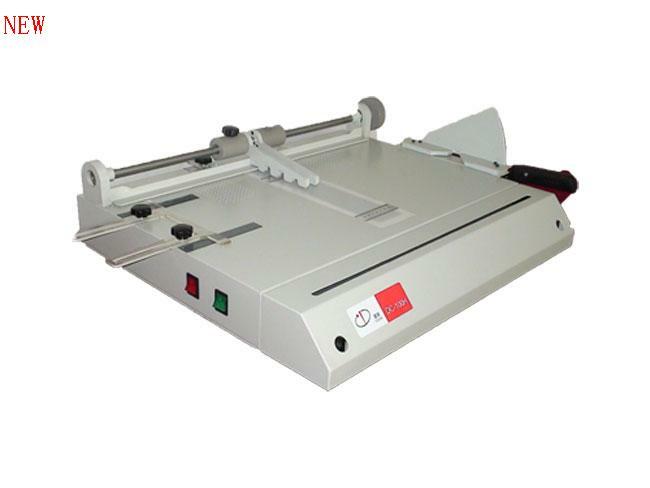 Peel off the pressure sensitive backing and lay the sheet face down on the DW-100H table. Step Three: Rotate the DW-100H arm, which lowers the card stock onto the tacking sheet in the precise position. 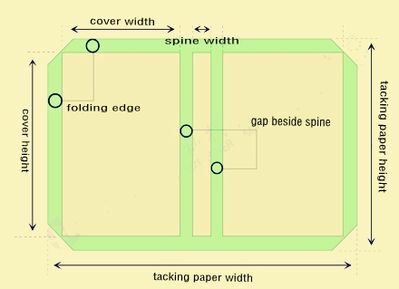 Trim the corners at 45 degrees and fold over the four edges. Step Four: Run the cover through the laminator to cold pressure press out any paper bubbles or wrinkles. Your hard cover is now ready for binding! Step Five: Place a hard cover fly-sheet on each side of your book block. 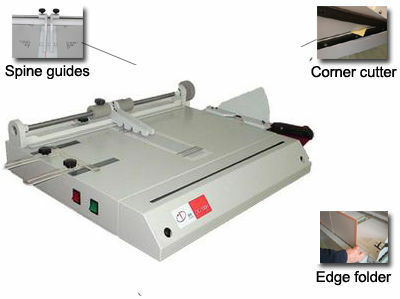 Bind the book on a binding machine and then peel out the backing from the fly sheets. The inside chipboard is now covered. If you wish, you can pre-print on the inside of the cover fly-sheets to give your book that extra professional touch. To USA and Canada: USD250 by truck. Please contact us to purchase. Shipping from Hongkong by air to USA, Canada, EUROPE, UK, Ireland, France, Germany, Italy, Spain, Mexico, Australia, : $350 , about 7-10 days . For other countries, please contact us for shipping cost. 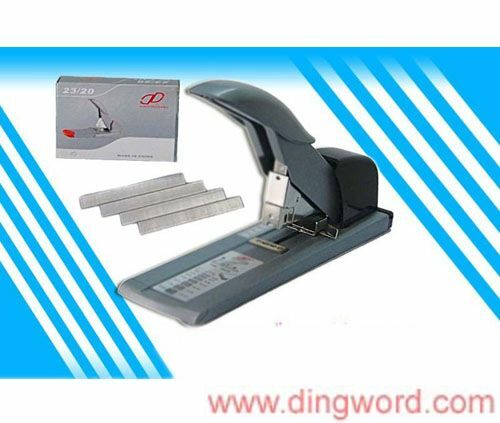 Customer service email: dingstore@hotmail.com . We will reply within 24 hours.